The superintendent at Mt. Enterprise is Byron Jordan. He previously served as junior high principal at Big Sandy ISD for 7 years. Before he became an administrator, he taught at Gladewater Middle school for 12 years. Mr. Jordan joined Mt. Enterprise ISD in 2012. He received his bachelor’s from East Texas Baptist University in 1988, his Master of Education from UT-Tyler in 2005, and his Superintendent certification in 2010, also from UT-Tyler. Mr. Jordan is married and has one son. He also has a cat that has emotional and psychological problems. 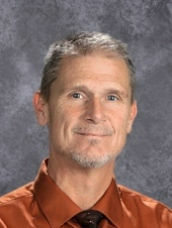 Mr. Jordan enjoys most anything outdoors---mountain hiking/backpacking, dirt bikes, fishing, and landscaping. He also enjoys music and athletics, especially basketball. It’s amazing that we are already in the spring semester! This is an awesome time of year. In speaking of this time of year, your ISD is in the midst of preparations for the state standardized exams (STAAR/EOC) that will begin shortly through the first of May. Also, during this time are a plethora of activities with ELEM activities/trips, athletics, UIL academics, OAP, Ag, and other organizations. This time of year is always the busiest. There is no rest for the weary! Speaking of test preparations, MEISD will have extra prep days for students that need help, or are behind academically because of absences or illness, and/or if previous state tests weren’t as successful as planned. The state gave us a waiver to have 4 OFYP days (optional flex year plan). These days give us the flexibility to focus harder on academics for those students described above. As of this writing, the basketball teams are in full gear and before we know it, baseball-softball-track will be in our midst. In basketball, we fully expect both varsity teams to qualify for the playoffs. Both teams are in rugged districts but we have the talent to push our way through. Good luck b-ball teams! HS One Act Play is just around the corner. Last year our OAP qualified for state competition for the 2nd straight year. Good luck to our theatre kids! Ag/FFa is gearing up for the Rusk County Show among other activities. Last year the Ag department was off the charts with students winning or placing in many different individual events. Just about everybody made the sale. Our big group project was awarded first place against many schools that were much larger than we are. Good luck to our FFA!! The band is preparing for UIL concert and sight-reading. This is the 2nd and 3rd leg of the 3 pronged competition season for bands. Last semester was marching. Good luck to the band! There are many other activities with HS UIL academic competition, STUCO and several other competitions/activities. It’s a busy time of the year, indeed! With all the above said, the obvious most important activity we do at MEISD is teaching day in and day out. Our teachers work splendidly hard preparing our students for academic success. Don’t ever forget to thank a teacher for all they do. It is a very hard profession and one that doesn’t receive too many accolades. If you have any questions or concerns, please do not hesitate to drop by, email, or call.